Here is a way to possibly solve the annoying NVIDIA “Display driver stopped responding and has recovered” issue which is frequently associated with a flickering screen, flicking to black, having a completely black/blank screen or even rebooting your computer unexpectedly. This is the method I used to fix a client’s PC which every now and then his monitor would randomly turn black and recover a couple of seconds later with the following error. He was running Windows 7 64-bit but this fix will apply to most other editions of Windows as well. Upon inspecting the system log in the ‘Event Viewer’ I found that it was the file ‘nvlddmkm.sys’ which was causing the crash. The’ nvlddmkm.sys’ file is located in ‘C:\Windows\System32\drivers’. Firstly I downloaded the latest drivers for the video card from the nvidia website. I then downloaded ‘Driver Fusion’ from http://treexy.com/products/driver-fusion. You will need to install this on your PC and run it. Under ‘Maintenance’ – ‘Driver Inspection’ find the entry that reads ‘NVIDIA – Display’. Select it by clicking on it and then pressing the ‘Delete’ button at the bottom. 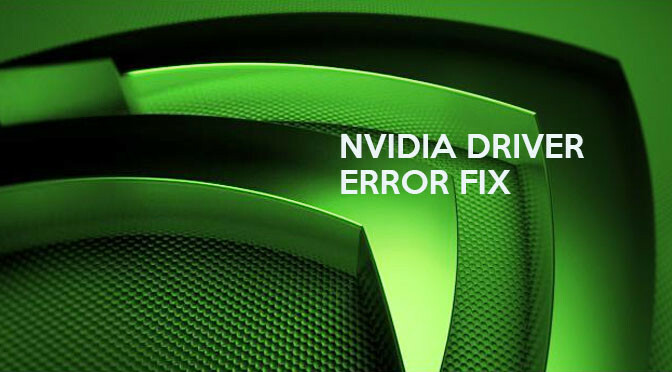 This will remove all registry entries and files associated with your NVIDIA GPU, you will need to restart your PC after the files have been removed. When your PC starts again the screen will be super low resolution and everything will look really big, don’t freak out though. Just install the brand new NVIDIA drivers you downloaded earlier and everything will be back as it was. Run with this for a while to see if it fixes your problem. If it doesn’t then keep reading. Open up your ‘C:\NVIDIA’ folder and find the ‘nvlddmkm.sy_’ file inside (for me it was located in ‘C:\NVIDIA\DisplayDriver\306.97\Win8_WinVista_Win7_64\International\Display.Driver\’). Copy it to your root C:\ drive and then open up your Command Prompt by going to ‘Start > Run’ type in ‘cmd’ and press ‘Enter’. In the Command Prompt type ‘cd\’ and press ‘Enter’. Type ‘expand.exe nvlddmkm.sy_ nvlddmkm.sys’ and press ‘Enter’. This will create a new file in your C:\ drive called ‘nvlddmkm.sys’, right click on it and press ‘Copy’. Navigate to your ‘C:\Windows\System32\drivers\’ folder and find the existing ‘nvlddmkm.sys’ file and rename it to ‘nvlddmkm.sys.old’. Paste your new ‘nvlddmkm.sys’ file which you copied earlier and reboot your computer. Note: If something goes wrong you can delete the nvlddmskm.sys file and then remove the .old from the original to restore peace. Unfortunately, this did not work for me DAMMIT!!!! Failing this I would begin to suspect that your video card might be faulty. I would suggest testing with another card if you can!